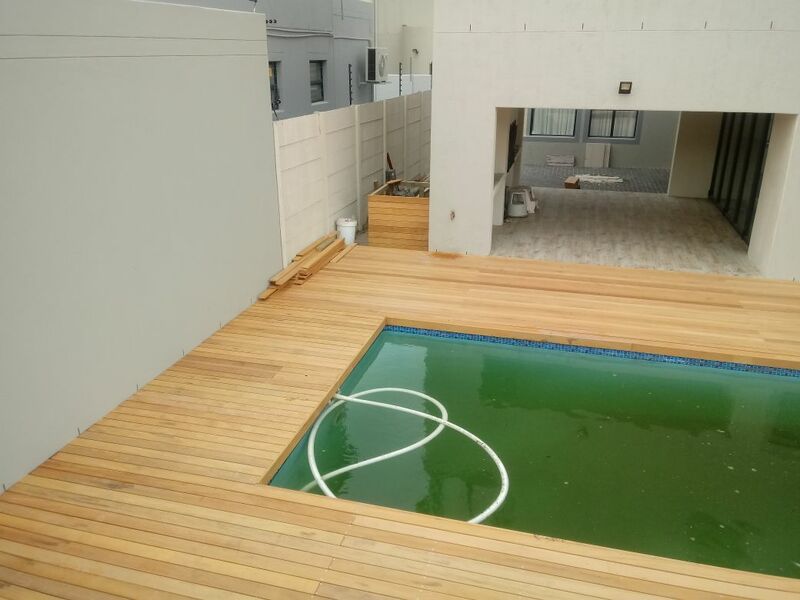 We just completed a new pool deck in Cape Town using Garapa wood. Have a look at the work and finished product. In this job we built a wrap around Pool Deck made from Garapa wood and a Pool Pump Housing & Cover. It’s always nice to see pools fitter with a pool cover. These are available from www.pool-cover.co.za from R99 per msq. The best value in Cape Town.